Next, I needed some shared storage to eventually present to my nested ESXi servers. 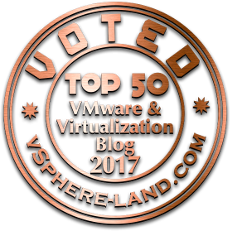 I decided to use HP’s StoreVirtual VSA (Formerly LeftHand) because I work with it fairly often, and because it’s the only VSA supported for SRM. 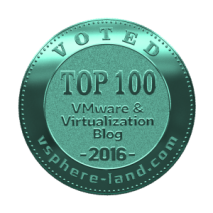 HP offers the VSA for a trial period of 60 days – plenty of time to work with it. It is available here. 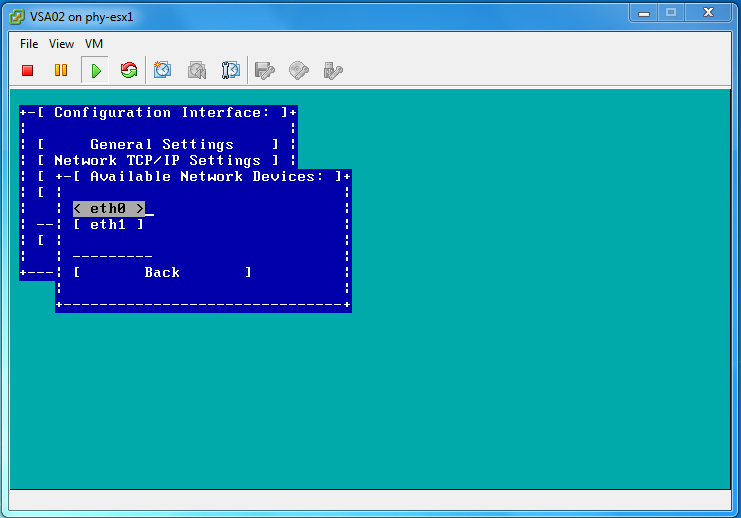 Once extracted, there is a setup.exe in the vsatrial folder. 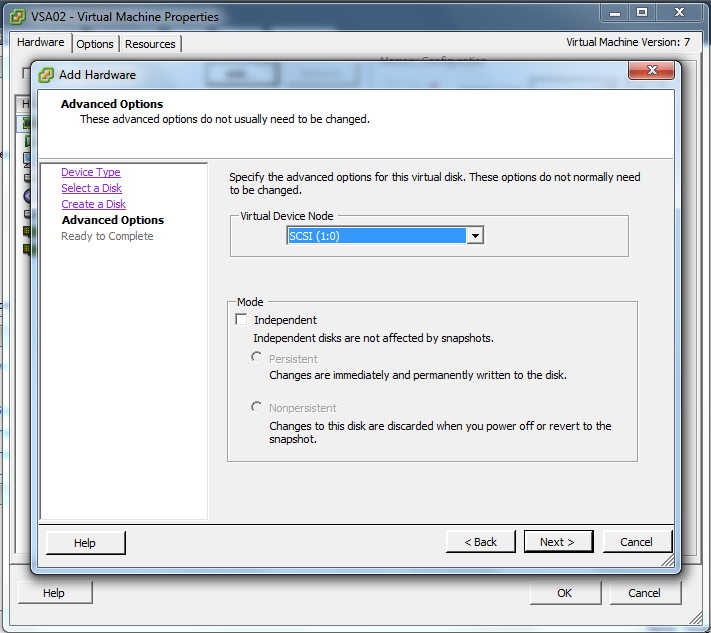 Normally, this setup would unzip the .ovf and .vmdk files, ask for vSphere credentials, disk size, etc – however, currently the setup wizard will not run if it detects ESXi 5.1. To get around this, simply access the .ovf and related files in your %temp% directory where the wizard extracted them. 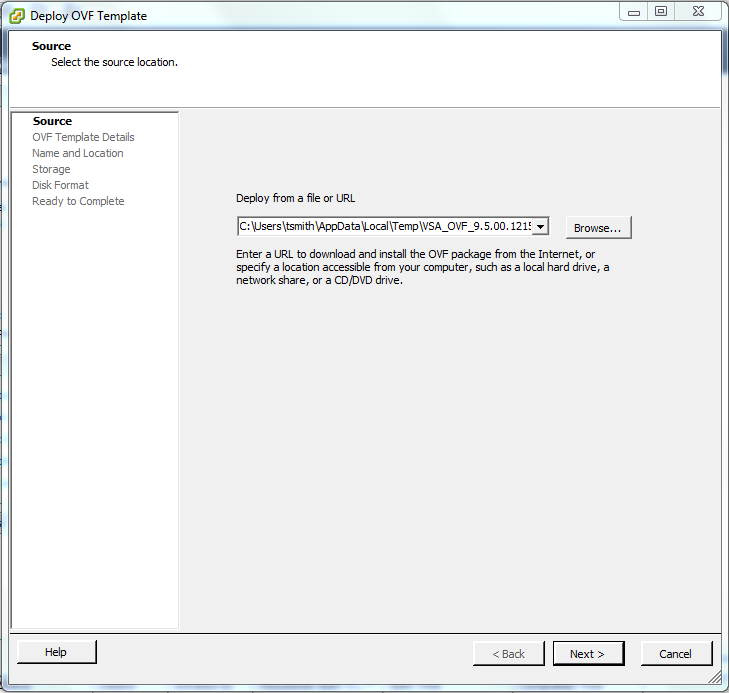 In the vSphere client, choose File and Deploy OVF Template… and choose the vsa.ovf file. The details will be shown and next the eula as well. 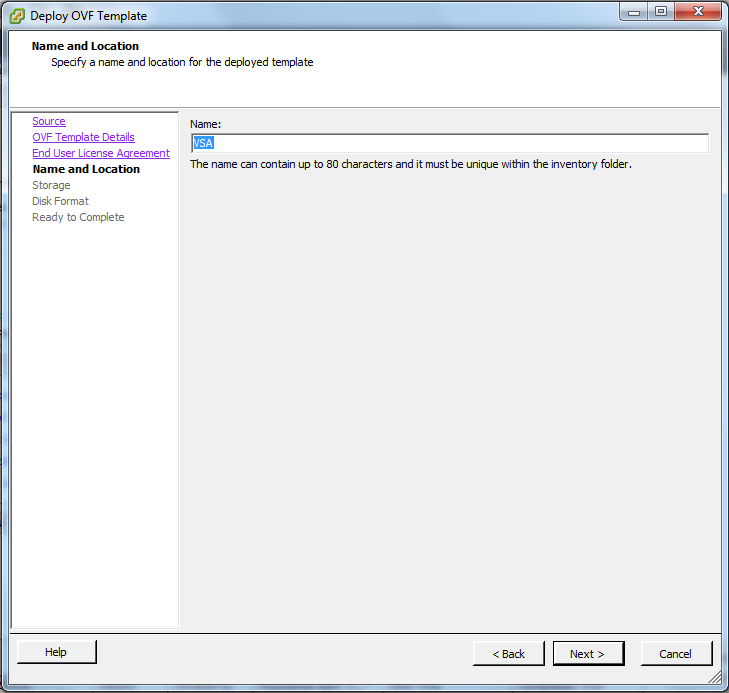 Once accepted, provide the VSA with a name and choose what datastore to keep the VSA’s system drive. I decided to set this drive to Thin Provisioning. 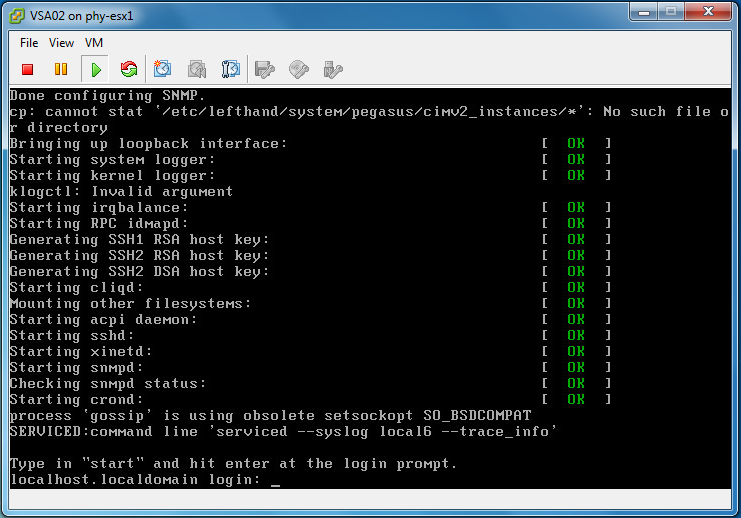 Next, and Finish and the VSA is deployed to the ESXi server in no time at all. 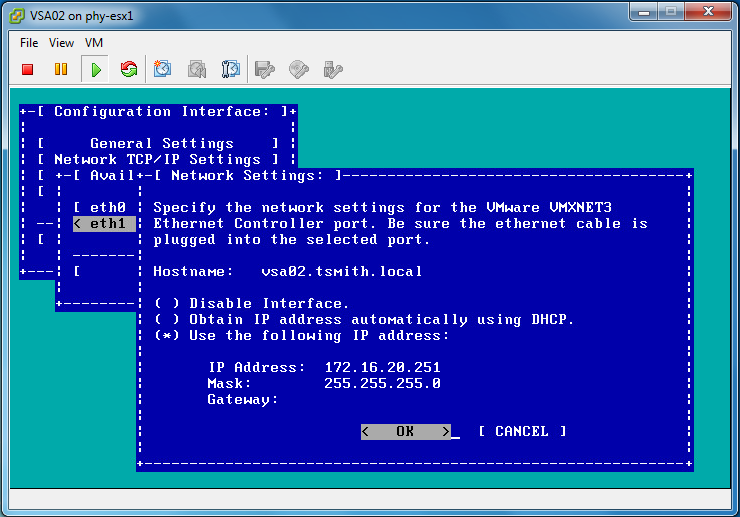 Next, open the console for the VSA appliance, and type “start”. This will get you into the configuration. 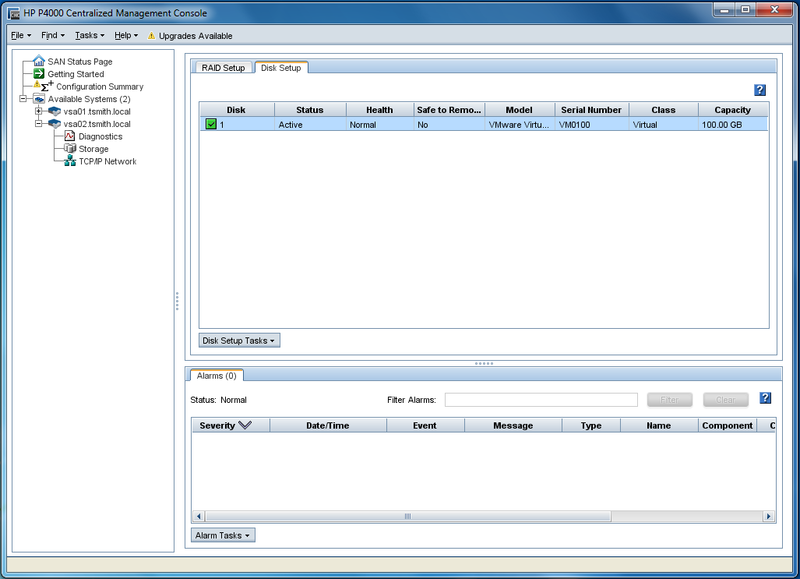 The VSA is deployed with 2 vNICs. 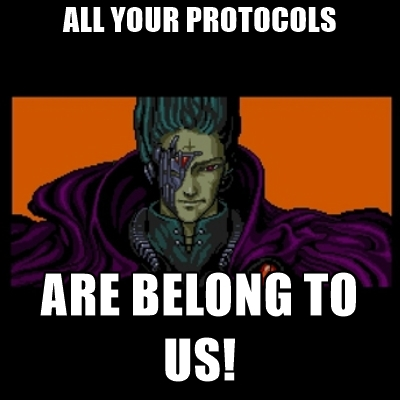 eth0 is a Flexible adapter, and is meant to be used for management traffic. 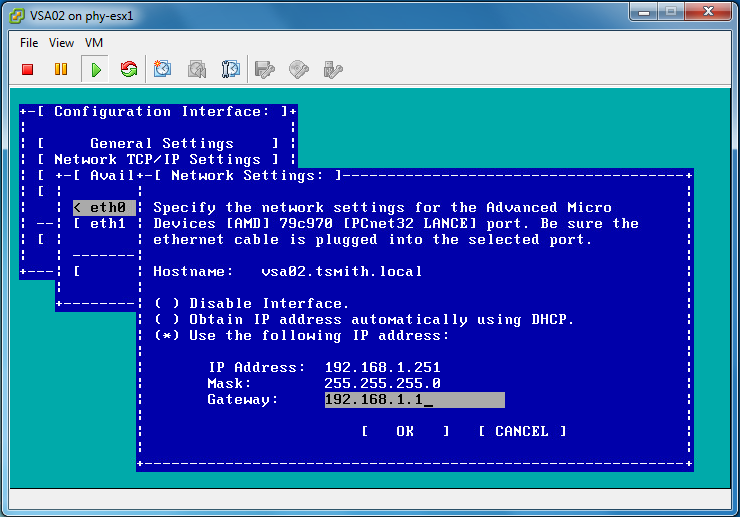 Eth1 is VMXNET 3, and is to be used for iSCSI traffic. 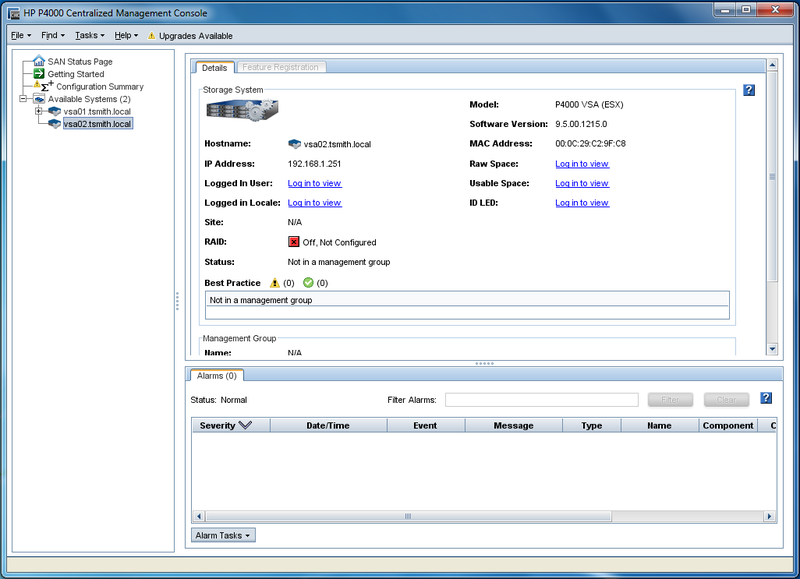 I setup my management IP to my production network (192.168.1.x) and the other adapter to my iSCSI network (172.16.20.x). 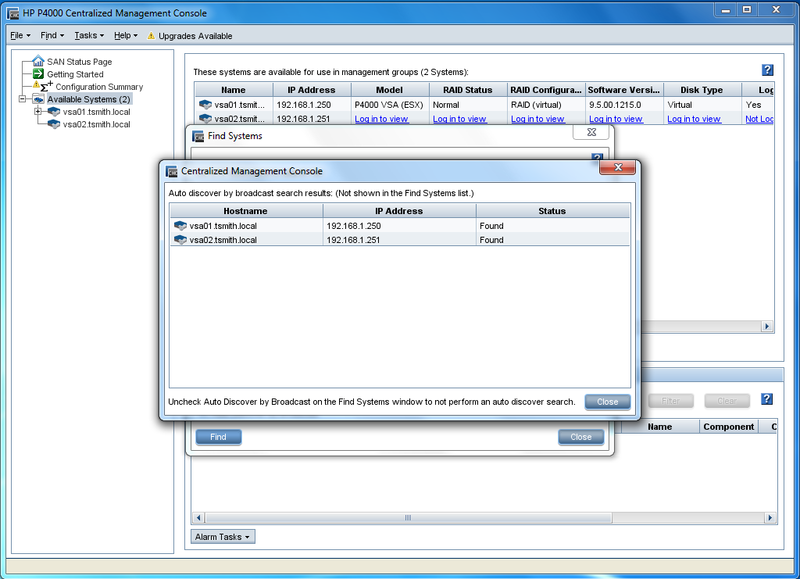 Install the HP P4000 Centralized Management Console (CMC), which is included in the download. Once installed, under the find menu, you can have it scan your network for the VSA (or VSAs if you deployed more than one like I did). Notice that each has a Red X for RAID, and a status of “Off, Not Configured”. This is because we have not yet assigned our Data virtual hard drives. First, edit the settings of the VSA, and choose to add a Hard Disk. For performance reasons, I chose to Thick Provision Eager Zeroed. 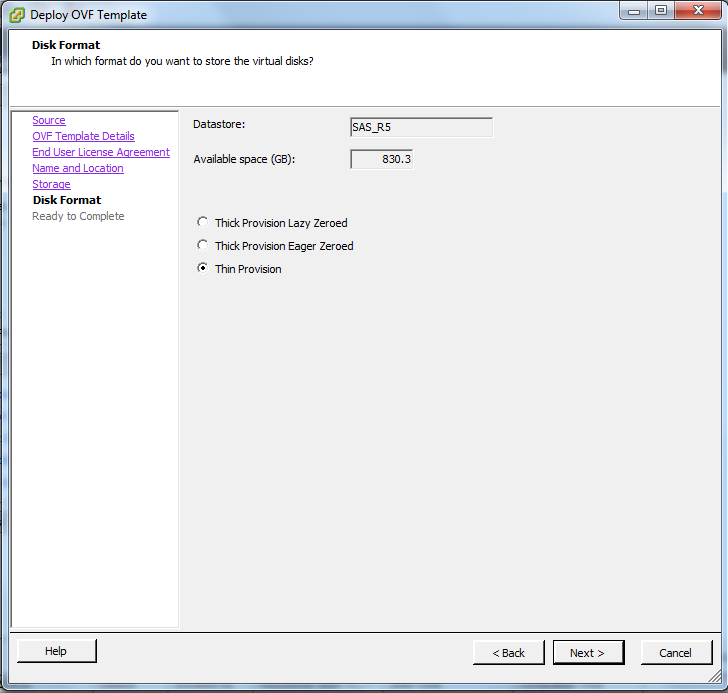 I choose the size (500GB) and the datastore (SAS_R10) to store the virtual hard disk. On the next screen, VERY IMPORTANT, make sure to set the SCSI ID to SCSI (1:0), and the Mode to Independent – Persistent. For future storage for the VSA, and SCSI ID 1:x can be used – the VSA looks for these particular IDs, and will not recognize a hard disk not in that ID range. 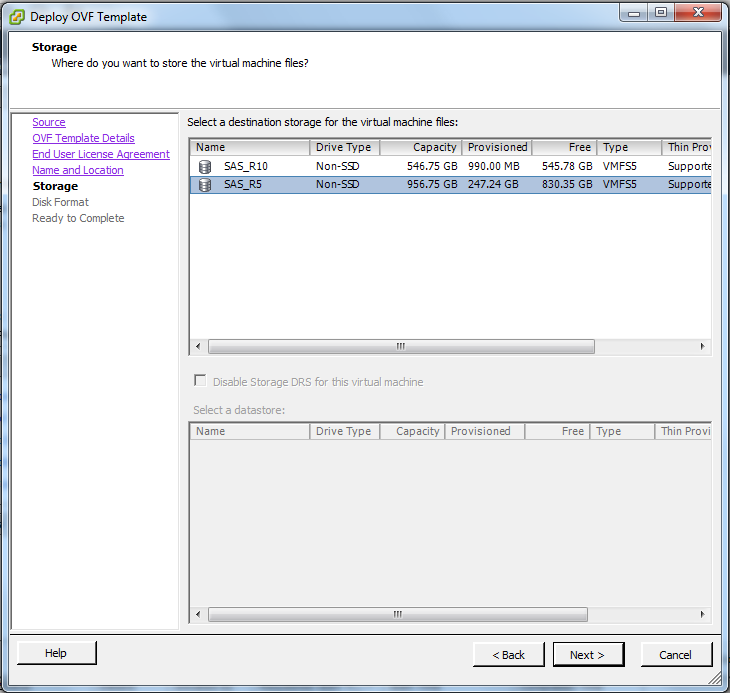 Reboot the VSA, and then when back in the CMC, notice that your disk shows up inder the VSA > Storage > Disk Setup tab. 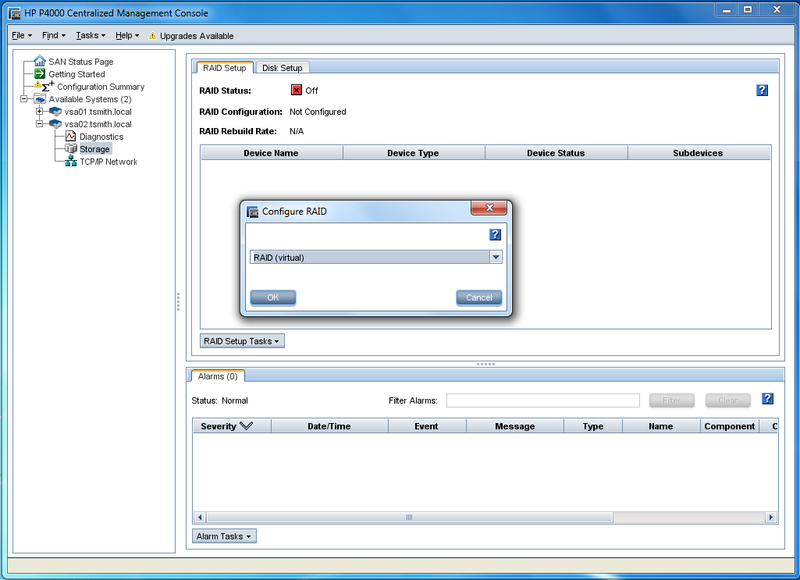 On the RAID Setup tab, choose Configure Raid from the Raid Setup Tasks. Our only option is RAID (Virtual) – select it and OK. I now have a HP StoraVirtual VSA deployed to my physical ESXi host, with 500GB of storage that can be exported to my furture Nested ESXi hosts via iSCSI. 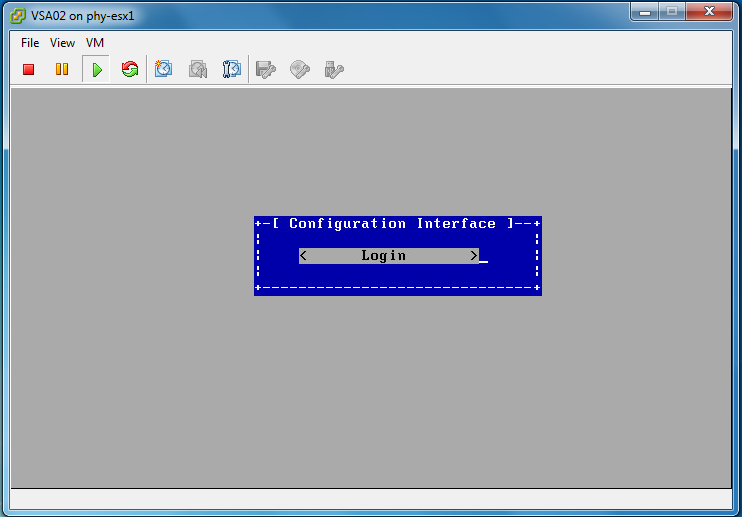 We will configure exporting LUNs once we have our Nested ESXi VMs up, and the vCenter Virtual Appliance. I am also trying to play with the VSA tryout but seem to have a disk in the box with a corruption problem, it is asking for root PW which i dont know or CTRL-D which just reboots and puts it back to the same place, do you have any idea how to get around this? I have not encountered that issue before. Perhaps HP support, or just starting over since its a lab environment.